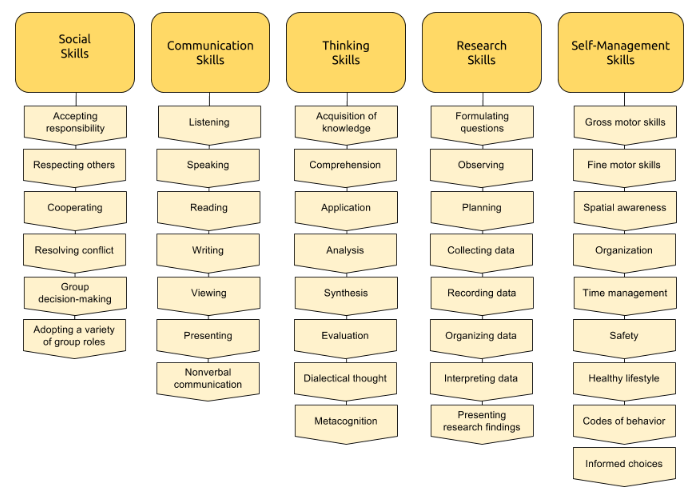 Approaches to Learning: What do we want the students to be able to do? Throughout all learning in the programme, students apply a set of different skills: social skills, communication skills, thinking skills, research skills, and self management skills. These skills are valuable to teaching and learning in the classroom as well as to life outside of school.